Our Tee-Ball program is currently full, but we are continuing to accept registrations that will be placed on a waiting list. Unfortunately, we don't have enough volunteer coaches to take on any additional players at the moment. If you're interested in coaching a Tee-Ball team, we'll allow your player to register, and we'll add some of our other waiting list players to the team. If you'd like to volunteer as a Tee-Ball coach, please contact us at badenyouth@gmail.com ASAP and we can give you more information. Waiting list registrations aren't required to pay at the time of registration. Start by determining your player's program eligibility by using the chart below. Find your child's month of birth across the top, then move down to child's birth year. Eligible program will be listed at the right. Scroll down to select registration. Please download our Registration Packet for complete information about the upcoming season including important dates. You'll be asked to create a parent account prior to registering your player(s). You can complete your registration online and pay with a credit card or debit card, or you can register online and pay by mail by choosing 'Skip and Pay Later' on the registration confirmation page. All payments are due by March 9, 2019. Multi-player discounts are applied automatically. A refundable $20 volunteer fee is added to all baseball program registrations (excludes tee-ball). Your $20 fee will be refunded after you meet our volunteer requirements. If you're registering multiple players for any baseball program (Rookie, 8U, or 10U), contact us first before registering and we'll issue you a discount code to remove the additional $20 volunteer fee that the registration system adds automatically to additional players. During registration you are required to enter a mobile phone number. Please opt-in to receiving our text messages. We only send text messages for game & practice cancellations. NO SPAM! BYA Fanwear can be ordered online at the time of registration. If you'd like a shirt in your child's team color, leave the Team field blank and we'll update the color when players are assigned to teams. You can add additional parent/guardian information after creating your account by logging in to your Family Account from your main dashboard. 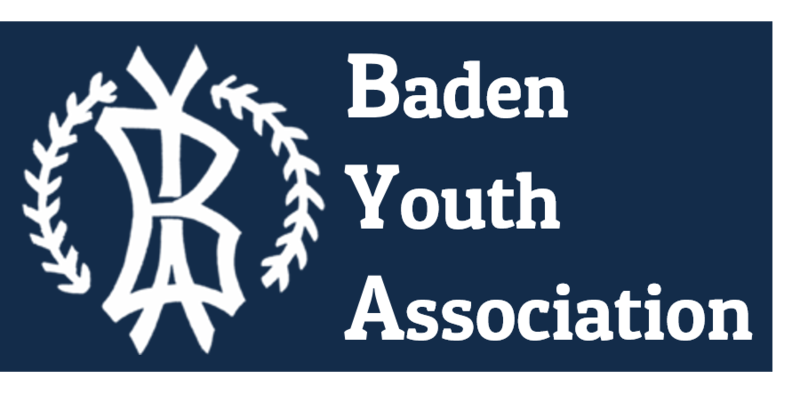 Check out this Baseball league '2019 BYA Regular Season' with Baden Youth Association!